An RSS feed (or news feed) is a means by which you can stay informed about what's going on at Bay Area Showcase Chorus without having to regularly visit the website. 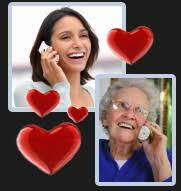 Your Singing Valentine will be delivered by phone by one of our special Valentine quartets. Domestic and International delivery available for "by Phone" delivery, 9AM-5PM Pacific Standard Time. Must be within the available timeslots (above). Your preferred date/time may not be available. We will advise approximate time by email. Please be specific. Add directions and landmarks as needed, including room, suite or apartment numbers. Also include parking information, if applicable. This could be the recipient, or someone else helping with the surprise. This person will be contacted before delivery to confirm details. Be sure to include your name or your preferred signature. For example: Love, Mom, or Hugs from John, or With Love from your Huggy Bear. Include work hours of recipient, if relevant. Also indicate whether this is a surprise!